We already know how Trump is planning to beat us. Let’s go into that battle with open eyes. President 46%. In 2016, Donald Trump was elected president with 46% of the vote, beating a Democrat who got 48%. As he was being inaugurated, he briefly benefited from the wave of hope and goodwill that greets all presidents, and for about two weeks his approval/disproval rating was positive. He quickly dissipated all that goodwill: He gave his scary “American carnage” inaugural address. We saw the flock of shady billionaires, fossil-fuel industry puppets, and alt-right provocateurs he had appointed to high office. Sean Spicer angrily told us that we didn’t really see all that empty space on the National Mall during Trump’s inauguration, and Kellyanne Conway coined the phrase “alternative facts“. Then Mike Flynn resigned under a cloud that had something to do with lies about Russia, the Trump family kept openly profiting from his presidency, and by April his approval was below 40%. It has fluctuated in a 37%-43% range ever since. Whatever he says or does, or how well or badly things are going, that’s how much support he has. The unemployment rate hits record lows and the stock market record highs, but he can’t get over 43%. He all but kneels to Vladimir Putin, refers to Nazis as “very fine people”, puts kids in cages, and is identified in as a conspirator in a crime Michael Cohen has already been sentenced to prison for, but he doesn’t go under 37%. There’s a good reason for that narrow range: Unlike all previous presidents (at least since World War II; I’m kind of hazy on the presidents before FDR), Trump continues to serve up the rhetoric his base wants to hear, and doesn’t even try to speak to the nation as a whole. Most of the things he says are easily recognized as false or nonsensical as soon as you leave the Fox News bubble. (The Washington Post fact-checker estimates that during 2018 Trump averaged 15 false or misleading statements per day.) But inside that bubble, he is a prophet; he says the (untrue) things that no other president has ever had the courage to say. Every bad claim people amke about him originates from a conspiracy between the Deep State and the Fake News Media, who are “enemies of the American people“. Unlike, say, Bill Clinton reforming welfare, George W. Bush working with Ted Kennedy on education policy, or Barack Obama offering a “grand bargain” on the federal deficit to John Boehner, Trump has never given Democratic leaders the slightest reason to hope that they might achieve their goals by working with him. Every gesture towards compromise — like the DACA-for-Wall deal Trump said he wanted or the job-creating infrastructure bill he promised — turns out to be a mirage that evaporates in the light of day. Fundamentally, Trump doesn’t accept the premise of a win/win outcome; in order for him to believe he has won, his opponents have to lose. Even worse, he seems to take joy in trolling groups that oppose him. He never misses an opportunity to smear Latino immigrants. He makes up derogatory nicknames (like “Pocahontas” or “Cryin’ Chuck”) for U.S. senators. Whenever he needs to rile up the racists in his base, he picks a fight with some black celebrity like LeBron James or Spike Lee. (Try to remember any previous president of either party trading insults with a celebrity outside of politics, no matter what opinions they expressed.) He refers to black-majority nations as “shithole countries“, and contrasts them with countries he’d like more immigrants from, like Norway. He encourages police to be more violent with suspects. So how does Trump plan to win? That kind of behavior raises an obvious question: How does Trump think he’s going to get re-elected? Something like a third of the country may worship him. (Literally. It’s not uncommon to run across people saying that Trump was chosen by God to be president.) They may indeed be so devoted that they don’t care if he stands “in the middle of 5th Avenue and shoots someone”, much less if he violates campaign finance laws or commits bank fraud or is a ventriloquist’s dummy for Putin. But how do you win an election if you don’t do anything to grow a base that’s barely more than a third of the country? Answer — the same way he did in 2016. Eezy-peezy: Rile up your third of the country so that they’re sure to vote (and depress the rest of it so that they’re not), making them maybe 40% of the electorate. Get another 6% to hold their nose and vote for you because they’re scared of your opponent. Encourage (maybe with some social-media help from Russia) 5% or so to vote for third-party candidates who have no chance to take any of your states. (Howard Schultz has already volunteered for that role.) Then count on the Electoral College to install you in office even though your opponent has more votes. That would sound like one of the Brain’s plans to take over the world, if we hadn’t just seen it work. Someone who raises progressive enthusiasm, so that marginal Democratic voters (especially non-whites and young people) are drawn to the polls. Someone who doesn’t scare Republican voters outside Trump’s base (especially educated suburbanites and moderates) into supporting him. The problem: While those two are not directly contradictory, they do generally point in opposite directions. A candidate with sweeping progressive proposals (like Bernie Sanders) tends to scare the Right, while a “safer” candidate (like Joe Biden) may leave low-motivation voters wondering why they should bother. Moving either way increases the third-party threat. In 2016, Jill Stein got votes from people who would have voted Democratic if Bernie had been the nominee. But Schultz has openly said that his motivation to run as a “centrist” arises from fear of Democrats nominating a progressive like Sanders or Elizabeth Warren. Don’t help him. The most important thing Democrats can do is to avoid slandering their front-runners. We need to make sure that candidates have answers for any serious questions that are bound to come up eventually, but attacks on a candidate’s fundamental honesty and decency shouldn’t be tossed around lightly. So it’s fine to ask why Amy Klobuchar doesn’t support Medicare-for-All, but not to jump to the conclusion that she’s a tool of the insurance companies (unless you really know something). It’s fine to wonder how Bernie will pay for his proposals, but not to accuse him of trying to turn the US into Cuba. And I don’t want to hear about how Kamala Harris isn’t black enough, or that Kirsten Gillibrand doesn’t know how to eat chicken. We’ll get enough of that kind of BS in the general-election campaign. We don’t need to start it now. Can anybody thread the needle? The most successful Democratic campaigns of the Trump era have somehow managed to split the difference. Doug Jones won an unlikely senate seat in Alabama by avoiding progressive positions like Medicare-for-All, but the very thought of a Democrat beating Roy Moore inspired high turnout in Alabama’s black neighborhoods. Beto O’Rourke ran a surprisingly close race in Texas by creating an exciting progressive image without taking many progressive stands on the issues. That is also the path Obama took in his 2008 landslide. Obama himself was the excitement, not a revolutionary platform. Texas and Alabama are both in the South, where a Democratic presidential nominee will only win as part of a national landslide. So I don’t think those races should define the limits of acceptable positions. But I think each issue needs to be weighed on the inspiration/fright scale. Reparations for slavery, for example, is a trap issue for Democrats. No one really believes the next president can get a reparations bill passed — and I don’t even know of a plausible reparations proposal — so I doubt the issue will inspire new support. But it will scare a lot of white people and lend itself to exaggerated charges. At the moment, things look relatively good. The latest poll has Trump trailing a generic Democrat by 48%-41%. But of course, many polls showed even larger leads for Clinton at some point or another. That 7-point lead comes before the actual nominee either raises enthusiasm or gets torn down. It also comes before the Mueller report appears, and before investigations in the House nail down charges that Trump supporters have been able to wave away so far. There’s a strong chance of a recession beginning before the election, and who can guess what foreign crises will erupt between then and now? The idea that 41% of the public might be able to look at the last two years and say, “I want more of that” is both scary and mind-boggling. But that’s the world we live in. Trump has about that much support and always has. He’s going to try to win again without building that base, and we know exactly how he’s going to try to do it. No matter what happens in the internal dynamics of our own process, we can’t ever lose sight of that. It has been an eventful two weeks: Michael Cohen’s testimony, Congress moving towards denouncing Trump’s national emergency declaration, the Trump/Kim summit blowing up, more Democratic 2020 candidates, and a bunch of other stuff. The main goal, in my mind, is to get Trump out. If we do that, I’ll be happy, whether the 46th president comes billed as a socialist or a moderate. I would encourage everybody to avoid painting themselves into an “If the nominee isn’t my candidate, I don’t care whether Trump wins” corner. 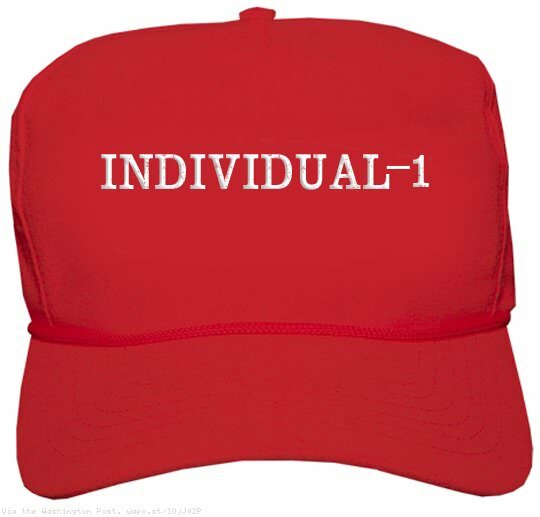 If Democrats picked their candidate by tossing the names of all their elected officials into a hat and drawing one at random, I would care deeply about that candidate winning. With that in mind, this week’s featured post, “Before We Even Think about Candidates for 2020”, looks at how Trump plans to win, and how that should influence Democrats’ counter-strategy. That should be out by, say, 10 EST. I’m targeting the weekly summary for around noon. No Sift next week. The next new articles will appear on March 4. We call upon our Republican colleagues to join us to defend the Constitution. This week’s featured posts are “A Fishy Emergency Threatens the Republic” and “I See Color“. I covered this in one of the featured posts. I left out a link to the proclamation itself, so here it is. Before getting around to declaring the emergency, (There is no emergency, so what’s the hurry?) Trump talked about trade with China, demonstrating that he has no idea how international trade works. We have been losing, on average, $375 billion a year with China. A lot of people think it is $506 billion. Some people think it is much more than that. He doesn’t seem to know that this is not a guessing game; his own government actually keeps track of foreign trade. The US trade deficit with China in goods in 2018 was $382 billion. In services, we run a trade surplus with China — $38.5 billion in 2017 (I haven’t found a 2018 figure) — so the total trade deficit in 2018 was probably less than $350 billion. The only person who says $500 billion or more is Trump himself. He has been saying it since 2015 and it has repeatedly been pointed out to him that this is wrong. The more subtle but more important error in his statement is that we aren’t “losing” that $350 billion. We’re spending money and getting stuff for it. We’re gonna be leveling the playing field. The tariffs are hurting China very badly. They don’t want them and frankly if we can make the deal, it would be my honor to remove them. But otherwise, we are having very many billions of dollars pouring into our Treasury; we have never had that before with China. He also doesn’t understand how tariffs work. China doesn’t pay the tariffs; American importers do, and they pass the cost on to their customers. So if you bought anything made in China this year, you paid a tariff. The Chinese paid nothing. Military Times asked 900 active-duty troops to rate a variety of threats. Each bar in this graph represents the percentage of troops who described the threat as either “significant” or “very significant”. Both “immigration” and “Mexico” ranked way down the threat list. Because executive power is awesome, and intended to be that way, certain abuses of it can be discouraged only by the credible threat that Congress will remove the president from power — or, if discouragement fails, can be remediated only by the president’s actual removal. That is why Madison believed that the inclusion of impeachment in Congress’s arsenal was “indispensible” to preserving the Constitution’s framework of liberty vouchsafed by divided power. Of course, it took that stand in 2014, when the “executive overreach” in question was Obama’s decision to tell 5 million undocumented immigrants that he was not going to get around to deporting them. To it’s credit, NR isn’t happy about Trump’s seizure of power, but I haven’t noticed them talking about impeachment. GOP Leader Kevin McCarthy threatens punishment for @IlhanMN and @RashidaTlaib over their criticisms of Israel. It’s stunning how much time US political leaders spend defending a foreign nation even if it means attacking free speech rights of Americans. If you’re not tuned in to the history of anti-Semitism, you might not get why this is anti-Semitic. If the issue under discussion were, say, guns or drugs, there would be nothing particularly out-of-bounds about tweeting “It’s all about the Benjamins” as a way of saying that McCarthy had been bought by the NRA or Big Pharma. But what makes it different when the subject is Israel is the long history (going back to the Rothschilds and even further) of conspiracy theories about Jewish money controlling events from behind the scenes. Most recently, the Tree of Life shooting in Pittsburgh was motivated by the belief (widely held on the right-wing fringe) that Jews are plotting to dilute the US’s white majority by encouraging caravans of illegal Hispanic immigrants to come up from Central America. George Soros is supposedly financing the caravans. Soros himself was a target of the MAGA Bomber in October, who shared a social-media meme showing Soros at the top of the “Controlled False Opposition”. too often, my would-be allies against injustice on the left can easily stumble into anti-Semitic tropes and only sometimes realize quickly enough to reverse course. The most recent example happened on Twitter when Congresswoman Ilhan Omar, whose district in Minneapolis surrounds me as I write in my office, made a flippant tweet about Israeli money buying off Congress. She clearly meant it as a comment on the power of lobbyists, but it inadvertently invoked long-standing tropes of wealthy Jewish cabals exerting influence. The ensuing political firestorm revealed just how hard it is to maintain solidarity in the face of the oppressive forces that want to divide and conquer. The solution is this: Listen. Believe people when they reach out to you in good faith. Ignore bad-faith hypocrites. Apologize if necessary. Then we can move forward together. But then there are the “bad-faith hypocrites” like Trump, who said Omar should resign. Or Mike Pence and Kevin McCarthy, who want Democrats to take away Ilhan’s committee assignments, as Republicans did to Steve King after a lifetime of racist comments. CNN’s Jake Tapper did a great job of demonstrating that hypocrisy. There is nothing that this White House finds more offensive than a politician feeding into stereotypes about Jews, Jewish money, and controlling politicians, which is what Congresswoman Omar is accused of having done. You’re not going to support me, even though you know I’m the best thing that could ever happen to Israel. … You’re not going to support me because I don’t want your money. … You want to control your own politicians. A Trump tweet showing Hillary Clinton on a backdrop of money, with “Most Corrupt Candidate Ever!” printed on a large red Star of David. I understand the arguments for and against boycotting Israel (or perhaps just products made in the occupied territories) over the Israeli treatment of Palestinians. For: The situation is frequently compared to apartheid in South Africa, where a boycott played a significant role in putting pressure on the white government. Against: Of all the countries that violate human rights in one way or another, Israel is being picked out because of anti-Semitism. But I don’t understand why one side or the other of that debate should be illegal. After that long public process about siting a second headquarters, Amazon has now changed its mind about building it in New York. Progressive politicians had begun to challenge the $3 billion in tax incentives that drew Amazon to New York. There’s a broader conversation to be had about corporations playing communities off against each other. I’m sure Amazon will get the deal it’s looking for somewhere else. But should it? Usually this issue comes up in the context of sports, when a city feels like it has to invest hundreds of millions in a sweetheart stadium deal in order to attract or keep a team. This is a situation where some federal rules might benefit everyone: Even the cities that “win” these competitions often wind up as losers. It looks like Bernie is running again. Let’s review: Kamala Harris isn’t black enough, Kirsten Gillibrand is so out of touch that she doesn’t know how to eat fried chicken, Elizabeth Warren should never have told anybody about her Native American ancestor, and Amy Klobuchar is a bad boss. Isn’t that weird? For every woman who runs for president, there’s some story that blocks out consideration of what she wants to do. I think the video rolling out Mark Kelly’s campaign for the Arizona Senate seat that’s up in 2020 is one of the best political pieces I’ve ever seen. Kelly has been a Navy pilot in Desert Storm, an astronaut, and the husband of Congresswoman Gabby Giffords, who survived being shot in the head by a mass shooter. The video is a fabulous mix of themes: service, heritage, heroism, risk, family. He may be a man running against a woman (Martha McSally, who lost her race to Kyrsten Sinema, but got appointed to fill out John McCain’s term), but he’s a man who has supported his wife through a difficult recovery. I think that’s going to count for something. Former FBI Director Andy McCabe isn’t an unbiased source, but his account of the days after James Comey was fired is worth a look. I’ll probably read his book when it comes out in a few weeks. 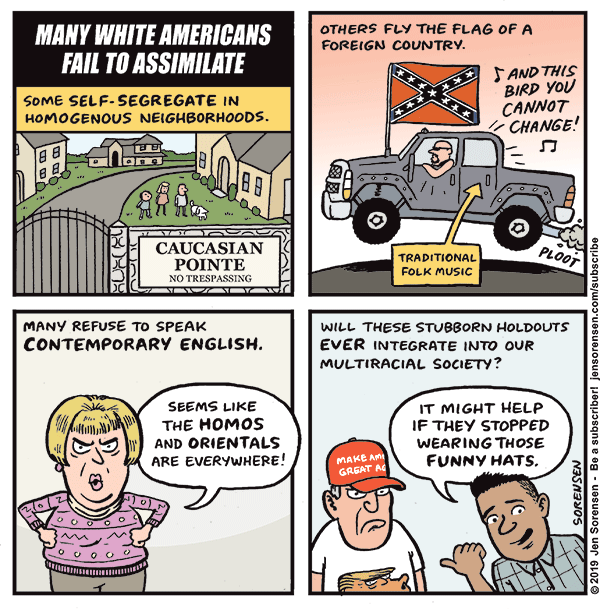 Cartoonist Jen Sorensen responds to Tom Brokaw’s suggestion (since apologized for) that “Hispanics should work harder at assimilation”. That’s what she learned from the story of Jesus. What kind of woman has a late-term abortion, which the far right calls a “partial-birth” abortion? This kind. The author, Margot Finn, eventually got involved with a support group for women who have gone through late-term abortions. None of them fit the anti-abortion stereotype of an irresponsible woman who just whimsically decided to kill her baby after procrastinating for six months. Oh, those people. Has anyone ever met one? Some would-be hi-tech thieves in Silicon Valley stole a shipment of GPS tracking devices. Within hours, police had tracked the devices, some of which were in the thieves’ storage locker and the rest in their car. The storage locker also contained other stolen property, as well as some drugs. And that’s not all they did wrong. Clearly these guys need to spend time in prison, where they can meet more accomplished thieves and begin to educate themselves in their chosen profession. Five reasons whites shouldn’t colorblind themselves. As somebody who grew up in a very diverse background as a young boy in the projects, I didn’t see color as a young boy and I honestly don’t see color now. By “not seeing color”, then, a white person is trying to live Dr. King’s dream: I’m not judging your children by the color of their skin; in fact, I’m not even noticing it. So what’s wrong with that? Many of the people who say they don’t see color really do mean well — though some don’t; we’ll get to that — so I think they deserve a clear and honest answer. I know that mixed-race people are sometimes hard to classify. So “Do you think of yourself as black?” can be a meaningful question. But even then I have usually spotted the uncertainty. Because I see color. I believe just about everybody does. But even when we try not to take race into account, we often do. I try not to be prejudiced or to act in any way that promotes bigotry. But I also score badly on the implicit racism test. Like most people, I see color even when I think I don’t. 2. That’s not how dreams work. 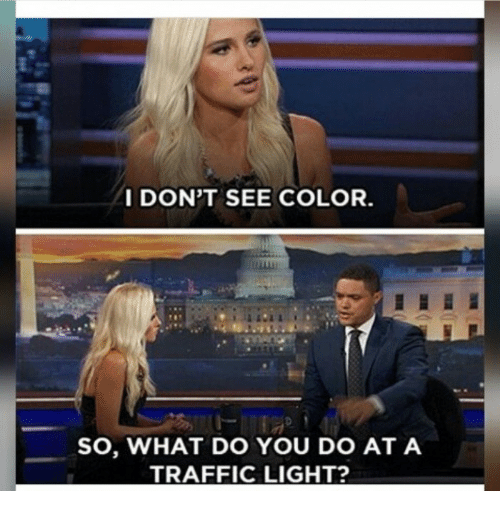 But what about the dream of a colorblind society? I mean, the one where people might notice each other’s skin color in the literal sense I just talked about, but it just doesn’t matter, because all people are judged “by the content of their character”. Race might still be part of your heritage, but in the here and now, it would only matter to the extent you want it to. A lot of white identities are like that now. I come from German stock, while somebody else might have Polish ancestors. Germans and Poles have been at each other’s throats for centuries, but in America today none of that matters any more. Maybe we’ll trade mock-hostile barbs when Germany plays Poland in the World Cup. Maybe your grandmother taught you how to prepare kielbasa while mine taught me schnitzel. (Actually she didn’t, unfortunately.) But in all the ways that count, the ones that might re-ignite the conflicts of our ancestors, neither of us cares. We can imagine a society where race is like that. “Your people came over from Africa? That’s interesting. Have you traced what part?” But when employers are deciding whether to hire you, police are deciding whether to arrest you (or just shoot you), or Starbucks managers are deciding whether to call 911, your race wouldn’t play any role. The percentage of the population that is in poverty or in prison or in management or prematurely in the grave wouldn’t depend on race in anything but a round-off-error sort of way. Is that a worthy dream? I believe it is. But I’m not trying to pretend it’s true now, because dreams don’t work that way. If you dream about being a billionaire like Howard Schultz, the way to get there isn’t to start living like a billionaire in all the ways you can. Quite the opposite: Every time you go to the kind of restaurant a billionaire might frequent — or as close to one as your credit cards will allow — you get a little farther away from actual wealth. I dream of a society where all people have access to health care, but I don’t bring that day closer by pretending that they already do. I dream of a world where refugees aren’t desperate to get into the United States, because their home countries are doing fine and they have lots of other good places to live. But having that dream doesn’t make me any less callous when I ignore those refugees. I dream of a world where everyone is honest, and I can leave my laptop sitting unattended on my table at Starbucks when I go off to the bathroom. But I never do that, because dreams don’t work that way. A colorblind teacher in a white neighborhood school would see the new black kid being picked on and think, “I wonder what that’s about.” A colorblind warden would be oblivious to the racially segregated gangs in his prison. In American society today, race matters. You can’t deal with that reality unless you see it. 3. Having a choice about whether or not you’ll notice race today is an element of white privilege. As I write this sentence, I’m sitting in the breakfast area of a La Quinta somewhere in Maryland. A couple of hotel employees are responsible for keeping the coffee urns full and the steam tables stocked with scrambled eggs and sausages. None of them are in my line of sight right now, and I realize I don’t know what race they are. To that extent, at least, I’ve been colorblind this morning. I can do that, because whether they’re white or black or something else, they’re here to serve me. Now imagine that you’re a black parent trying to raise a son. What will you tell him that Crawford did wrong there? What do you want your boy to do differently if he’s in a similar situation? I think you warn him that Crawford didn’t see color that day. He didn’t think: “There are white people in this store who expect black men to be dangerous.” He didn’t notice when white police walked into the store, and immediately assume they might be looking for him. The white people in the Wal-Mart could choose to be colorblind if they wanted (though the guy who called 911 clearly wasn’t). John Crawford III couldn’t get away with making that choice. Of course, you also tell your black son about Martin’s Dream. But you’re very careful to teach him not to lose sight of the difference between the Dream and the Reality. Confusing the two could get him killed. 4. Colorblind whites make bad allies. Think about the teacher and the warden I mentioned above. Racism is real in America, and you’re not going to be much use in mitigating it if you refuse to see it. Most racism in America today tries not to draw attention to itself. It often pretends to be something else, and has a semi-plausible explanation of its actions. 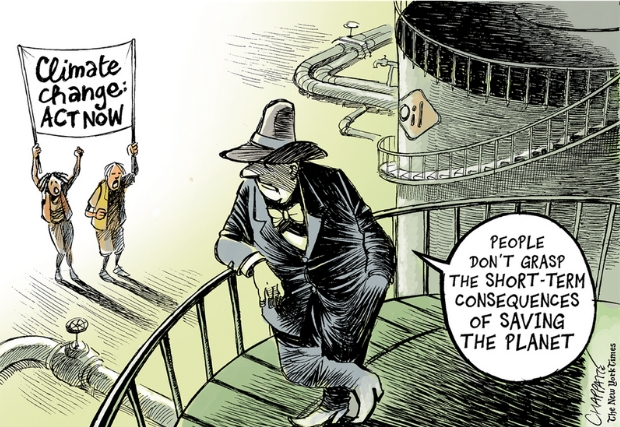 If you’re not paying close attention, you might not see through that explanation. For example, during the Obama administration, the First Family was often faulted for doing things that white First Families had done without drawing criticism. Barack was photographed putting his feet up on a historic desk. Family vacations cost the taxpayers a lot of money because of the entourage that had to come along. The White House Christmas card didn’t display any religious themes. The White House is equipped and staffed to provide a posh lifestyle, as it has for decades. Lots of people objected to this stuff without consciously thinking about race. It wasn’t that the Obamas were black, it’s that they were living wastefully or disrespecting some important American value. But somehow that disrespect didn’t register in the same way when the president was white. In order to notice that kind of thing and address it appropriately, you need to see color. You need to be sensitive to the idea that racism constantly lurks in the background of American society, even when the foreground looks fine. A lot of today’s racism is baked into the system, and doesn’t depend on any individual’s prejudice. The pipeline that sends black children to mostly segregated schools, funds those schools inadequately, criminalizes discipline, and channels students in the direction of prison — it operates with or without the racism of any particular teacher or principal or policeman or judge. If they all suddenly became colorblind, the system would continue to function. 5. Idealizing colorblindness gives cover to people who invoke it in bad faith. Trump has often claimed to be “the least racist person” — the least racist person you’ve met, ever interviewed, and so on. He has made that claim while trying to ban Muslims from entering the country, building a wall to keep out Hispanics, saying that neo-Nazis are “very fine people”, and pushing the baseless theory that the first black president wasn’t really an American. He gets away with that, at least among certain segments of the electorate, because he doesn’t explicitly invoke color. This is a constant theme in conservative circles: If I don’t explicitly mention color, I’m not racist. On paper, the law has explicitly been colorblind since the 1960s. So racism effectively ended then — except for the affirmative action programs that disadvantage whites. Non-whites are still much poorer than whites, and are under-represented in elite schools, corporate boardrooms, and high-paying professions, while over-represented in prisons and poverty programs. But any attempt to remedy those problems can’t be colorblind, so they get tarred as “reverse racism”. If we’re going to do something differently in the 21st century than what was done in the 20th century, it’s going to take a whole lot more white people in everyday experiences to be anti-racist and to stand up for racial justice. Not non-racist, anti-racist. And you can’t fight what you can’t see. The long-awaited constitutional crisis looks like it might finally be here. Trump’s specious declaration of a national emergency threatens to reverse Congress’ decision not to fund his wall. If this stands, the Republic will be fundamentally changed. Power has been gradually shifting from the legislative to the executive branch of government since the New Deal, but the one power Congress has retained is the power of the purse. 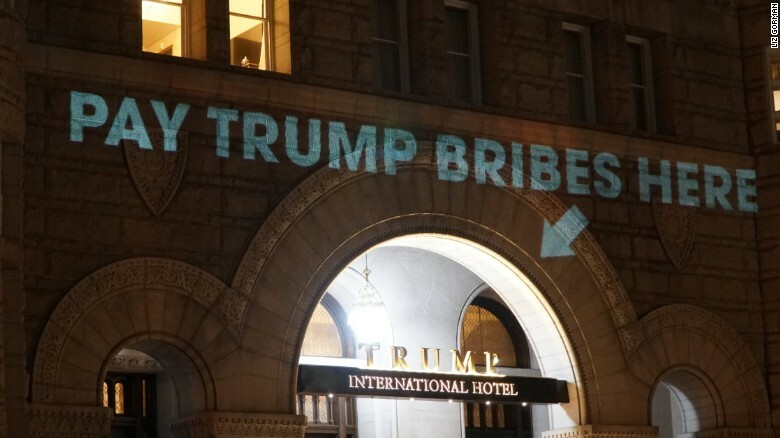 If presidents can now declare a national emergency on any pretext, and redirect money Congress has appropriated for other purposes, then the power of the purse is now a shared power, and Congress has been greatly diminished. I’ll discuss this in more detail in “One Fishy Emergency”, which should be out soon. That will be followed by a less timely piece, “I See Color”, which is my response to Howard Schultz’ claim that “I didn’t see color as a young boy and I honestly don’t see color now.” That should be out around 10 EST. The weekly summary will collect some further odds and ends around Trump’s bizarre national-emergency speech, then discuss Rep. Omar’s apology for raising an old anti-Semitic trope (and the bad-faith denunciations of her from people who routinely do far worse), a first-person account of a late-term abortion, Mark Kelly’s amazing campaign-rollout video, Amazon backing out of New York, and a few other things, before closing with a story about one of the most poorly conceived crimes ever. Probably that’s out before noon.